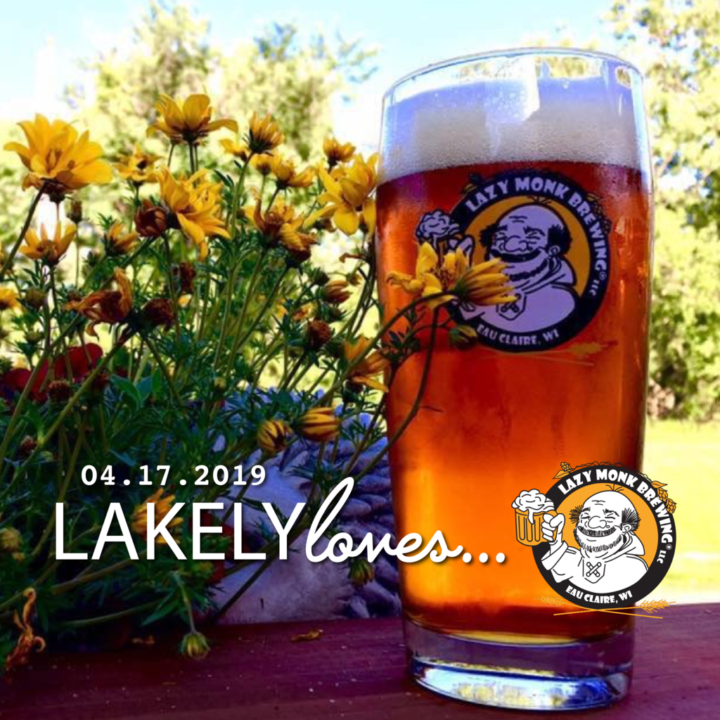 Come join the party as The Lakely welcomes one of our best neighbors here in downtown Eau Claire…Lazy Monk Brewing! Founded in 2010 by Leos and Theresa Frank, Lazy Monk set out to craft traditional Bohemian and German-style lagers and, nearly a decade later, they’re still hard at work putting out some of those same styles, although they’ve also added quite a few other brews into the mix over the years. For this dinner, The Franks will be on hand to talk in detail about their brewing operation; touching on its history, its wonderful new(ish) bier hall on the Chippewa River and what’s in store for the future. They’ll also be guiding us on a tasting of a half-dozen of their brews, including everything from their tried-and-true standbys to some of their wonderful seasonal offerings. Meanwhile, Chef Nathan Berg and his talented staff will be presenting a six-course dinner, with each course specifically paired to one of Lazy Monk’s incredible brews. It’s an exciting collaboration between a locally-focused restaurant and its closest brewery! Please call The Lakely for reservations. 715-839-0601. Seating for these dinners IS limited, so be sure to call soon if you don’t want to miss out. And trust us, you DON’T want to miss out! See you here! Dinner starts at 6:00pm. Bar will open at 5:00pm. Sorry, but we cannot accommodate significant dietary restrictions for this event.